Mike Lydon is Principal of The Street Plans Collaborative. An internationally recognized planner, he was a co-author of The Smart Growth Manual and the creator and primary author of the reports “The Open Streets Project” and “Tactical Urbanism: Short-term Action, Long-Term Change” Vol.1 and Vol.2. 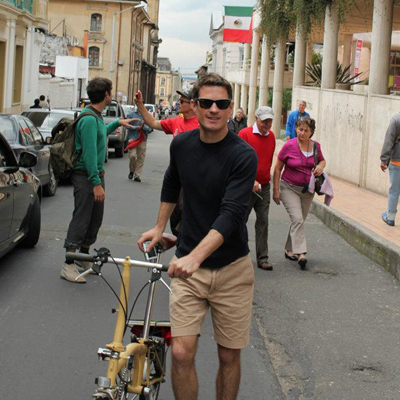 He works and speaks internationally on smart growth, livable cities, active transportation, and tactical urbanism. He lives in Brooklyn, NY. This Valentine’s Day, we thought it would be fun for Island Press authors to share the love. We asked a few authors to choose their favorite Island Press book—other than their own, of course—and explain what makes it so special. Check out their responses below, and use code 4MAGICAL for 25% off and free shipping all of the books below, as well as books from participating authors. What’s your favorite Island Press book? Share your answer in the comments. 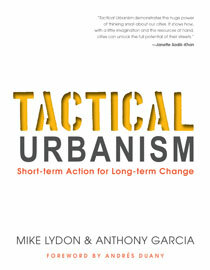 My favorite IP book—not that I’ve read them all—is Mike Lydon’s Tactical Urbanism. 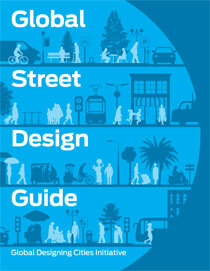 This book shows how ad hoc interventions can improve the public realm, especially if they’re later made permanent. I discussed the concept on the latest Spokesmen podcast with architect Jason Fertig and illustrator Bekka “Bikeyface” Wright, both of Boston. Last year I wrote a cover story for SIERRA magazine about how Donald Trump's proposed wall along the US-Mexico border would all but eliminate any chance for recovering jaguar species in the Southwest. In the course of my research I came across Alan Rabinowitz's An Indomitable Beast. It's a great read, blending Rabinowitz's own experiences as a big cat biologist with cutting-edge findings on this amazing species. 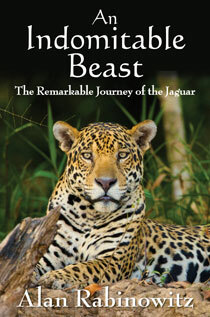 As a writer, this book and its amazing details helped me bring the jaguar to life for readers. This day is a time for reaching beyond data and logic to think about deeper ways of knowing. Love, specifically, but I would add to that faith, tradition and ethics. 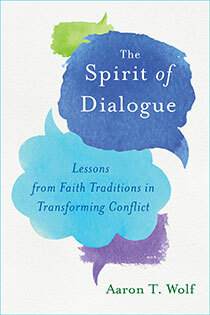 That's why I love Aaron Wolf's new book, The Spirit of Dialogue: Lessons from Faith Traditions in Transforming Conflict. Going beyond the mechanical "rationality" of the typical public meeting is necessary if we are to address the big issues of global sustainability and the smaller issues of how we sustain our local communities. Aaron Wolf provides the experience, tools and promise of a better, deeper approach. Like many others, I am indebted to to Island Press for not one but three books that profoundly influenced my thinking. 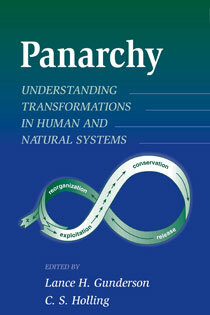 Panarchy (2001, edited by Lance Gunderson and C.S. 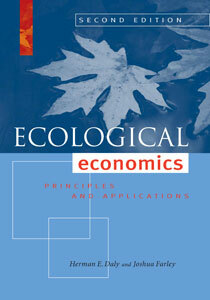 Holling) introduced me to the concept of socio-ecological systems resilience. Resilience Thinking (2006, by Brian Walker and David Salt) taught me what systems resilience really means. And the follow-up book Resilience Practice (2012) helped me start to understand how systems resilience actually works. The latter remains the most-consulted book on my shelf—by Island Press or any other publisher—and I was thrilled and frankly humbled when Brian and David agreed to write a chapter for our own contribution to the field, The Community Resilience Reader (2017). "A large percentage of my urbanism bookshelf is comprised of Island Press books, so it's very difficult to share my love for just one! So, I won't because the books we pull of the shelf most often these days are the NACTO Design Guides. Finally, a near complete set of highly usable and mutually supportive design standards that help us advocate for and build better streets, better places." Nicols Fox's Against the Machine is a book that’s becomes more relevant each year as technology impinges ever further on our daily lives. 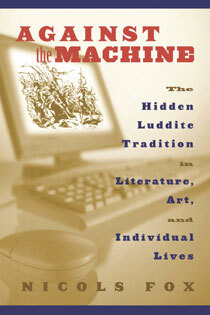 It’s a fascinating, deeply researched look at how and why people have resisted being treated as extensions of machines. 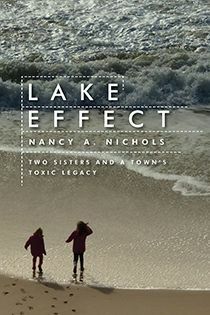 Lake Effect by Nancy Nichols. I read this book several years ago. It is so important to hear the voices of those whose lives are impacted by industrial age pollutants, lest we slide into complacency. In this case, the story of the chemicals of Lake Michigan. It is a short, beautifully written, disturbing read. Peter Gleick’s series, The World’s Water, is one of the most useful surveys of the cutting edge of global waters there is. Each edition brings in-depth coverage of the issues of the day, always eminently readable and backed up by the crack research team that he puts together for each topic. 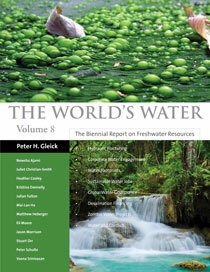 I use it in my classes, always confident that students (and I) will be kept abreast of the best of The World’s Water. 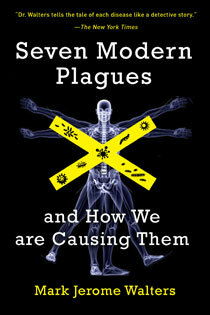 Mark Jerome Walters' important book, Seven Modern Plagues, places great emphasis on linking emerging diseases with habitat destruction and other forms of modification natural processes. This book is a call for us to recognize that each new disease reflects an environmental warning. 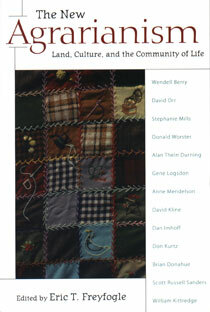 My favorite Island Press book is The New Agrarianism: Land, Culture, and the Community of Life, edited by Eric T. Freyfogle. Perhaps it remains my favorite IP text because it is the first IP text I remember reading front to back, twice! I first encountered the book as a graduate student and was struck my its scope and tone. The book is thought provoking. But it's also a joy to read, which isn't surprising in hindsight given the award-winning contributors. Don't see your Island Press fave? Share it in the comments below! This holiday season, give the gift of an Island Press book. With a catalog of more than 1,000 books, we guarantee there's something for everyone on your shopping list. 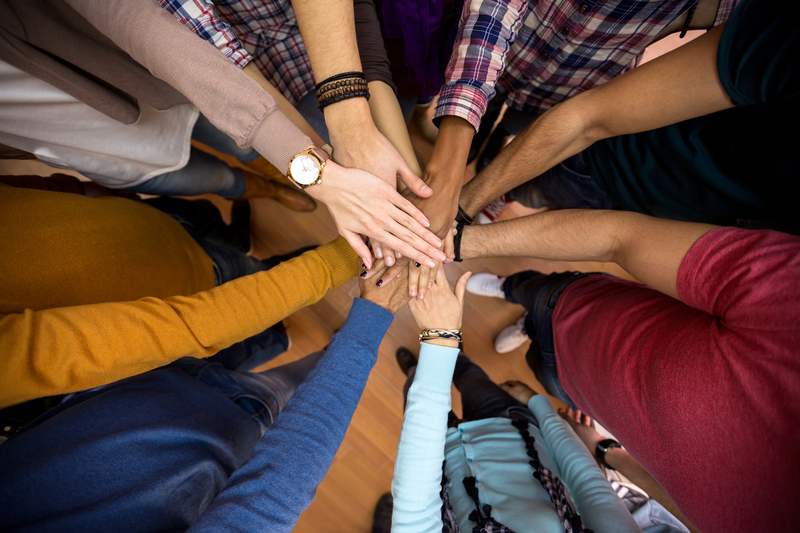 Check out our list of staff selections, and share your own ideas in the comments below. 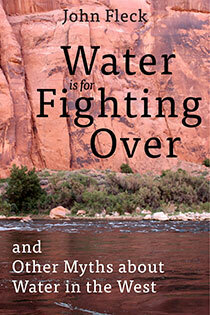 Anyone who has ever rafted down the Colorado, spent a starlit night on its banks, or even drank from a faucet in the western US needs Water is for Fighting Over. Longtime journalist John Fleck will give the outdoors lover in your life a new appreciation for this amazing river and the people who work to conserve it. This book is a gift of hope for the New Year. Do you constantly find your friend waxing poetic about their camping tales and their intimate connection to the peaceful, yet mysterious powers of nature? 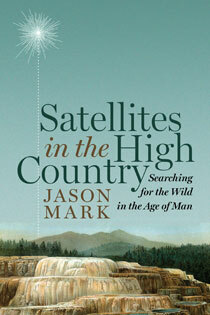 Sounds like they will relate to Jason Mark’s tales of his expeditions across a multitude of American landscapes, as told in Satellites in the High Country. More than a collection of stories, this narrative demonstrates the power of nature’s wildness and explores what the concept of wild has come to mean in this Human Age. Is the outdoorsperson in your life all dressed up in boots, parka, and backpack with nowhere to go? Looking for meaning in another titanium French press coffeemaker for the camp stove? 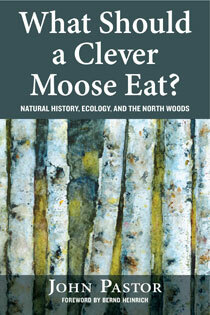 What Should a Clever Moose Eat leaves the technogadgets behind and reminds us that all we really need to bring to the woods when we venture out is a curious mind and the ability to ask a good question about the natural world around us. Such as, why do leaves die? What do pine cones have to do with the shape of a bird’s beak? And, how are blowflies important to skunk cabbage? A few quality hours among its pages will equip your outdoor enthusiast to venture forth and view nature with new appreciation, whether in the North Woods with ecologist John Pastor or a natural ecosystem closer to home. 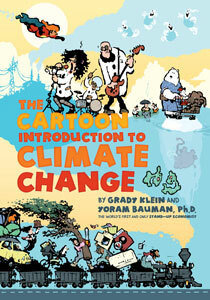 This holiday season, give your favorite climate-denier a passive aggressive “wink-wink, nudge-nudge” with The Cartoon Introduction to Climate Change featuring self –described Stand-up Economist Yoram Bauman and award-winning illustrator Grady Klein. Give the gift of fun, entertaining basic understanding of what is, undeniably and not up for subjective debate, scientific fact! 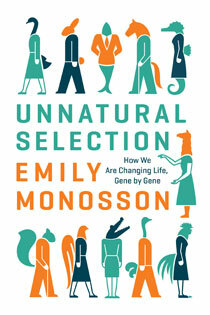 Give the health nut in your life the gift of understanding with Unnatural Selection. Your friends and family will discover how chemicals are changing life on earth and how we can protect it. Plus, they’ll read fascinating stories about the search for a universal vaccine, the attack of relentless bedbugs, and a miracle cancer drug that saved a young father’s life. Need an antidote to the doom and gloom? Stressed-out environmental advocates will appreciate Prospects for Resilience: Insights from New York City's Jamaica Bay. It’s a deep dive into one of the most important questions of our time: how can we create cities where people and nature thrive together? 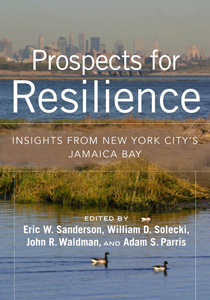 Prospects for Resilience showcases successful efforts to restore New York’s much abused Jamaica Bay, but its lessons apply to any communities seeking to become more resilient in a turbulent world. Blow the mind of the advocate in your life with a copy of Ecological Economics by the godfather of ecological economics, Herman Daly, and Josh Farley. In plain, and sometimes humorous English, they’ll come to understand how our current economic system does not play by the same laws that govern nearly every other system known to humankind—that is, the laws of thermodynamics. Given recent financial and political events, there’s a message of hope within the book as it lays out specific policy and social change frameworks. The cat lovers in your life will lose themselves in An Indomitable Beast, an illuminating story about the journey of the jaguar. This is the perfect book for any of your feline loving friends, whether they want to pursue adventure with the big cats of the wild, or stay home with a book and cup of tea. Give your favorite gardener an antidote to the winter blues. 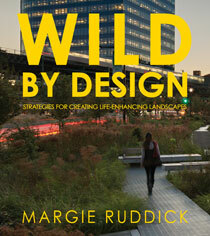 The lush photographs of Wild by Design, and inspirational advice on cultivating landscapes in tune with nature, transport readers to spectacular parks, gardens, and far-flung forests. This book is guaranteed to be well-thumbed and underlined by the time spring planting season arrives! 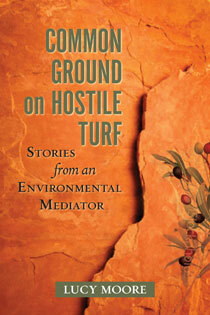 For the person keeping the peace in your family this holiday season, the perfect gift is Common Ground on Hostile Turf, an inspiring how to guide demonstrating it is possible to bring vastly different views together. This book gives lessons learned on setting down at the table with the most diverse set of players and the journey they take to find common grounds and results. If your holiday dinner needs some mediation, look to the advice of author Lucy Moore. When it comes to the the future of our cities, the secret to urban revival lies in our past. 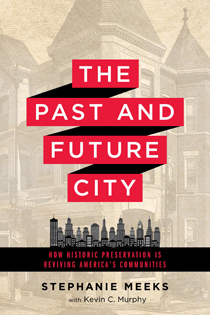 Tickle the fancy of your favorite history buff by sharing The Past and Future City, which takes readers on a journey through our country's historic spaces to explain why preservation is important for all communities. With passion and expert insight, this book shows how historic spaces explain our past and serve as the foundation of our future. 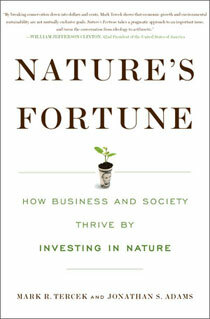 For the aspiring CEO in your life who drools at phrases like "rates of return" and "investment," share the gift of Nature's Fortune, an essential guide to the world's economic (and environmental) well-being. In this webinar, panelists Stephen Goldsmith (Center for the Living City), Mike Lydon (Street Plans Collaborative), and Erin Barnes (ioby) discuss Urban Acupuncture author Jaime Lerner's influence on community-based urban interventions. Moderated by The Overhead Wire’s Jeff Wood. Check out the recording on YouTube or watch below.